Jed Kurzel is Alien: Covenant’s new composer! Back in November, we reported that Harry Gregson-Williams would no longer be scoring Alien: Covenant. And we didn’t know who would be stepping up to fill the vacant position. Today’s teaser trailer changed that and confirmed that Australian composer, Jed Kurzel, would now be scoring Alien: Covenant. 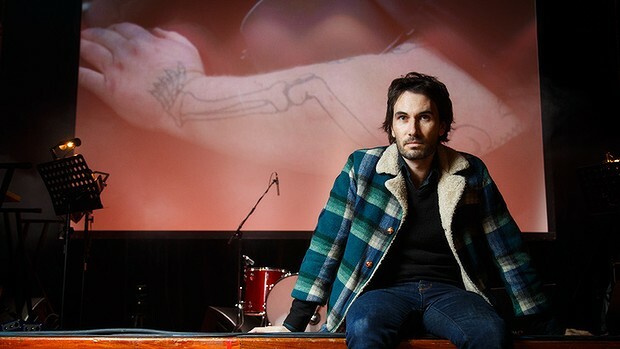 Jed Kurzel is an Australian singer-songwriter-guitarist and has been composing for films since 2000. He hasn’t worked with Sir Ridley Scott before but Kurzel has scored two of Michael Fassbender’s films – Macbeth and most recently Assassin’s Creed. Kurzel has also worked in the horror genre before, providing the score for The Babadook in 2014. Looks kind of like James Horner. His work on Macbeth was pretty dope. So what was the crack was with Gregson-Williams? Why'd he leave? He said scheduling issues. Likely to be due to the sudden shift in release date? Or it really was his son on IMDB and he got in trouble over it. Oh, not this again. That was completely made up. I don't buy scheduling conflicts. He was already well into composing it. This will be the fourth Fassbender film he's scored, after Slow West, Macbeth, and Assassin's Creed. I liked his scores for Babadook and Macbeth, but I think he's a step down from Gregson-Williams. Oh, I loved the score for the Babadook. This should be good. IMDB now lists Pietro Scalia as Covenant's editor. No big surprise, there, but I think it's still news. I too loved The Babadook OST and movie. Not to mention that his contract would have covered the possibility of re-shoots and delays. It might be possible that he was already signed on for another project before he agreed to score Covenant but he broke the news that he was scoring Covenant quite early during production.